Sri Lanka is a country of 21 million. 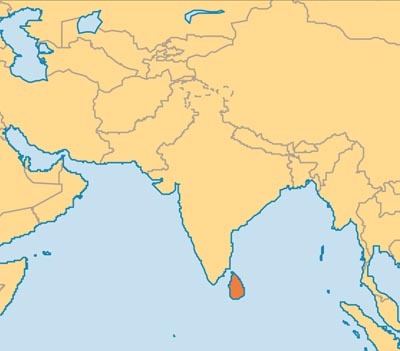 The Sinhalese people are the majority, but the north and east of the island are primarily occupied by Tamils. A 30 year civil war between the two groups ended in 2009. The country is strongly Buddhist and an anti-conversion law has been in and out of parliament for years, however there is relative freedom to preach and Negombo where the ecclesia is situated, is majority Christian. Perth commenced mission work in Sri Lanka in 1982. By 1990 there had been several baptisms and a small ecclesia meeting in a hired room in Colombo. Unfortunately however, between 1990 and 2000 this group of believers disintegrated, with several returning to their former churches and other leaving the country for work. From the late 1990s preaching efforts where renewed. Since 2000 there have been several long-term field workers living in Negombo, and the ecclesia has grown to approximately 25 members.